After a record-setting 2018 at the box office, ticket receipts for 2019 have taken a precipitous plunge. Driven by a lack of genuine hits and blockbuster offerings through the first two months of the year, overall revenue for the first quarter of 2019 is almost 20 percent lower than it was at this same time last year, marking an eight-year low. That’s significant, as the mere rate of inflation makes it easier and easier every year to best prior numbers. Last year, January at the box office benefited from strong holiday holdovers in the form of The Greatest Showman and Jumanji: Welcome to the Jungle, before February’s Black Panther exceeded all possible expectations with a record-breaking $242 million over President’s Day weekend. 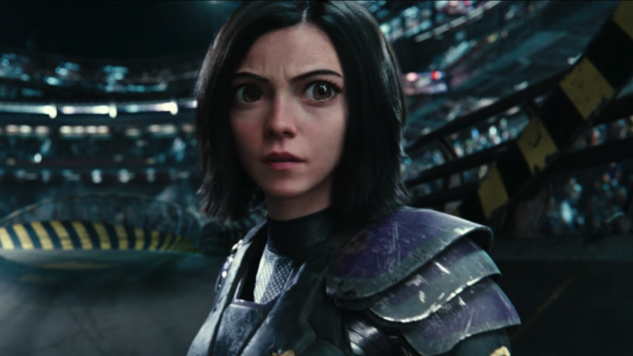 This President’s Day weekend, in comparison, has been the weakest in almost 20 years, headlined by Alita: Battle Angel, which has brought in an estimated $41 million in the U.S. to date, over the five-day weekend. That number was actually a bit higher than projections, but it’s still doubtful that the film will be able to recoup its huge budget and additional costs. Elsewhere, The Lego Movie 2: The Second Chapter made less than half the first film’s debut. The most obvious antidote to the weak box office would appear to be Captain Marvel, which is currently projected to open to $120 million or more. The long-awaited, big budget Marvel spectacle and Avengers: Endgame setup piece is due to arrive on March 8, 2019. Until then, it looks like the box office lean times will most likely continue.